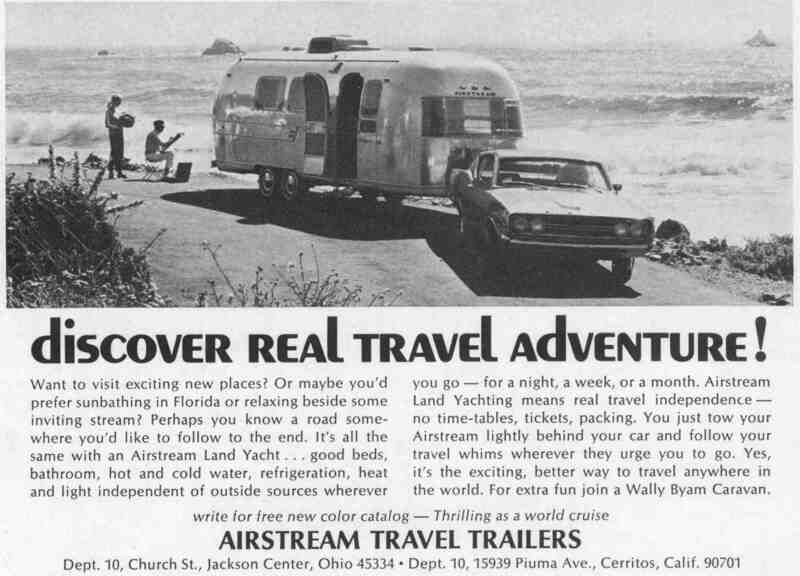 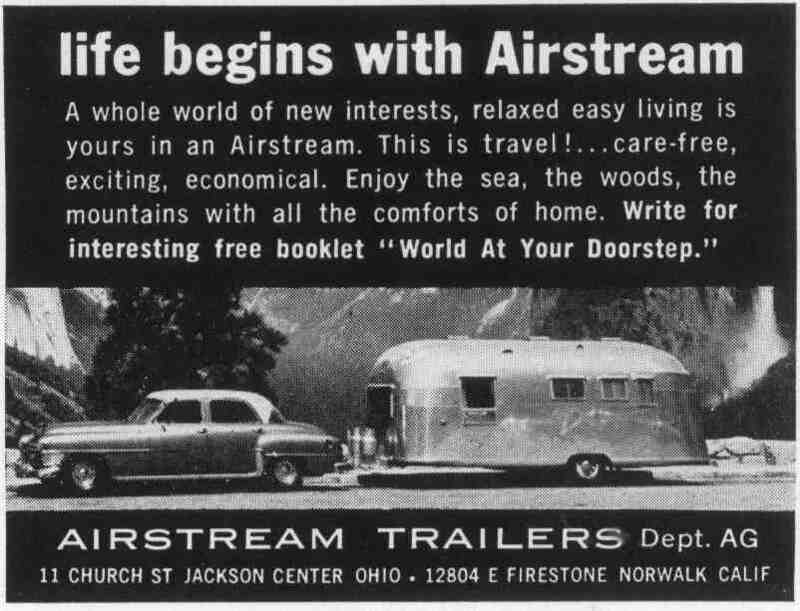 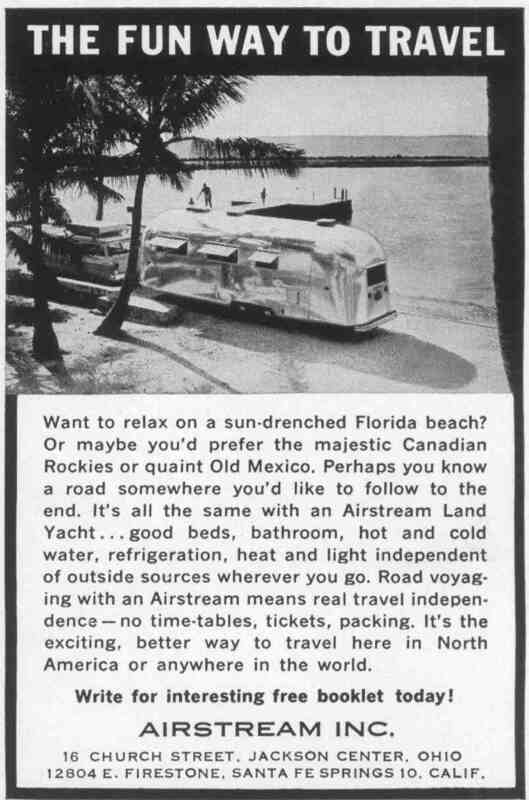 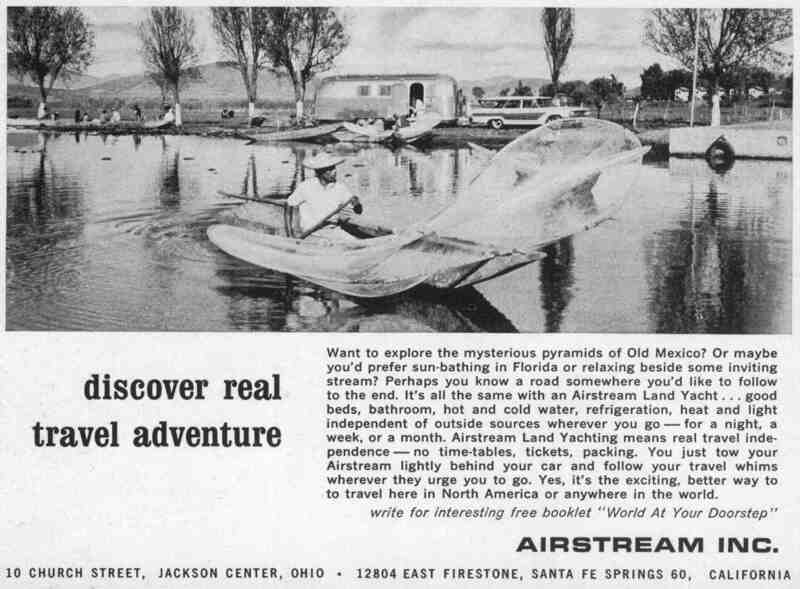 Airstream advertized in the National Geographic magazine in the 1950's and 1960's. 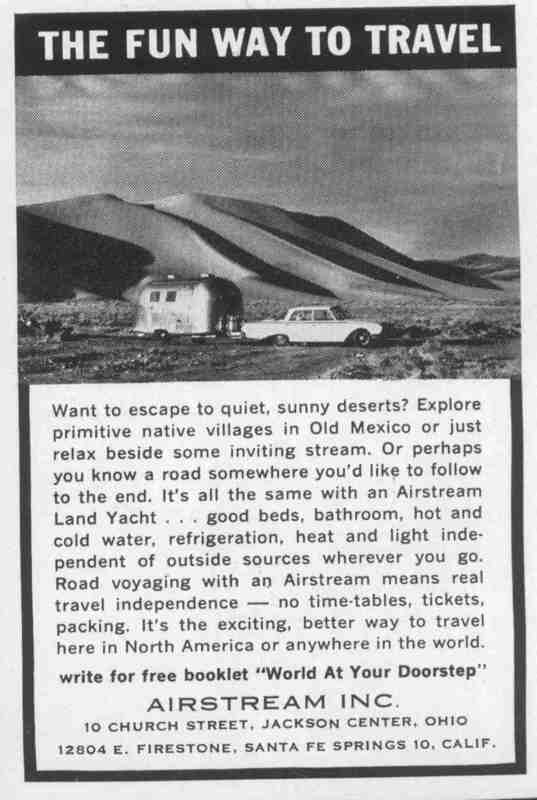 Here are some of those ads. 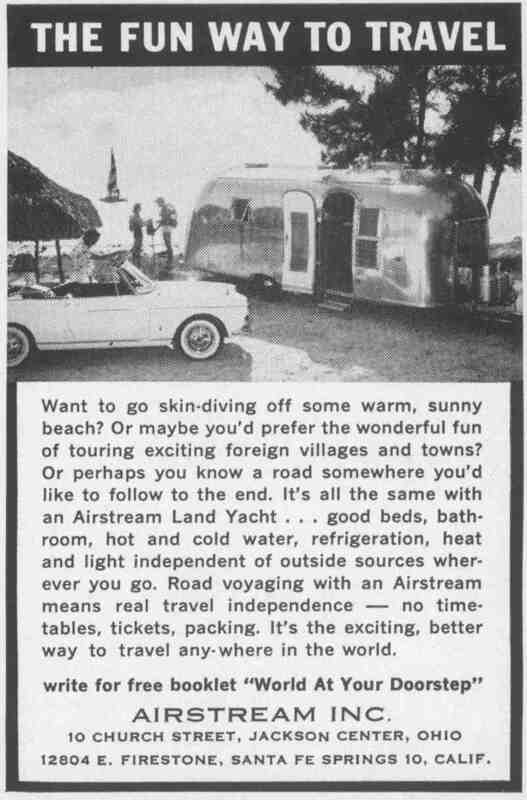 click on them to see larger image.